(Natural News) It’s been quite a long while since the U.S. Environmental Protection Agency (EPA) has had to procure actual scientific evidence to back its regulatory decision-making process. But things are changing under the leadership of Scott Pruitt, an appointee of President Donald Trump, and the entrenched liberal mafia that has long controlled the narrative of “environmental science” is now having a conniption. All of the EPA’s so-called “secret science” that the public has never been allowed to see, but that the EPA has long gotten away with using as justification for its expansive regulatory endeavors over the years, is no longer considered acceptable under Pruitt. For the first time in a long time, the EPA will now have to be transparent in proving that something is true, or not true, before making environmental regulatory decisions. 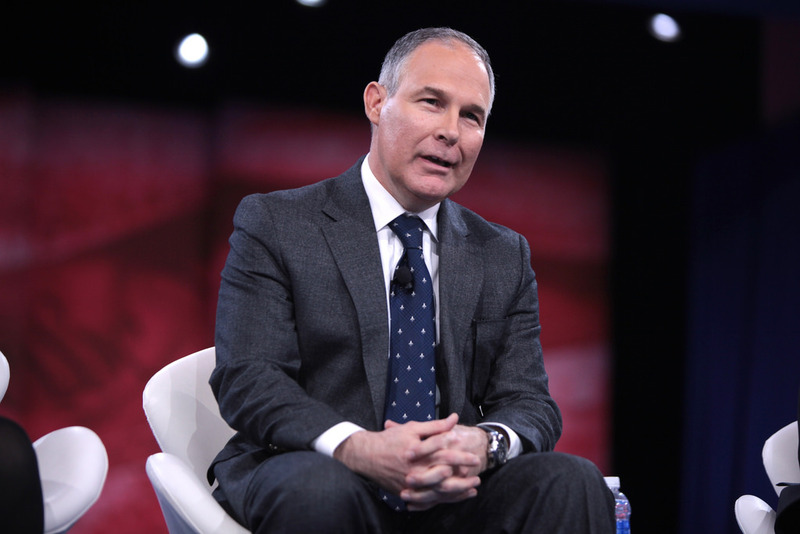 It’s a move towards greater transparency by Pruitt that has many environmental tyrants reeling with anger, including many in the environmental lobby that are used to pretty much doing whatever they please in the interest of their greater environmental agenda. Pruitt is implementing a “right to know” principle that will improve public access to the scientific data that the EPA is using to make regulatory decisions. And, of course, many in the mainstream media, as well as other “deep state” operatives, are freaking out about the implications of these changes. The golden calf of “climate change,” for instance, is threatened by the new scientific transparency standards that Pruitt is implementing – because much of the so-called “climate science” that we’re all told is undeniably true is actually part of the “secret science” that nobody in the public has been allowed to evaluate. An EPA official actually resigned last year over this very issue after it was shown that the agency had been lying about the science of climate change. Having to put forth credible science and be credible in doing so seems like a no-brainer, seeing as how the EPA is supposed to make decisions in the public interest that are centered around facts and truth. But for some reason, many climate change fanatics and other liberal “greens” are bemoaning the fact that the EPA is now having to do things the right way. Part of it could be that Pruitt was appointed by President Trump – and liberals hate President Trump, no matter what he does. The other part could be that the “science” liberals put their faith in like some kind of religion is, in fact, false, and won’t pass the muster when scrutinized in a more transparent way. Hilariously, those opposed to the changes Pruitt is implementing claim that the new rules will unduly restrict the EPA’s power. That’s right: Having to be more open about the scientific data and research methodologies that are being used to make federal rules about the environment is considered by liberals to be a negative thing. Read EPA.news for more coverage on the EPA. Next : Did the DEA really just give Insys approval to develop synthetic cannabis despite the company’s history of corruption and abuse?